In the run-up to the official release of iOS 11 this month, much of Apple's focus has been on touted improvements coming to its built-in virtual assistant, Siri. Apart from becoming more naturally spoken, Siri will allow users to get real-time translation between select languages and is said to boast a greater understanding of the user's needs dependent on circumstance and time of day, with the AI assistant's learning synced across devices. Apple is hoping these and other improvements will go some way to quashing negative perceptions of Siri, which have led some iOS users to turn to rival assistants for a better experience. 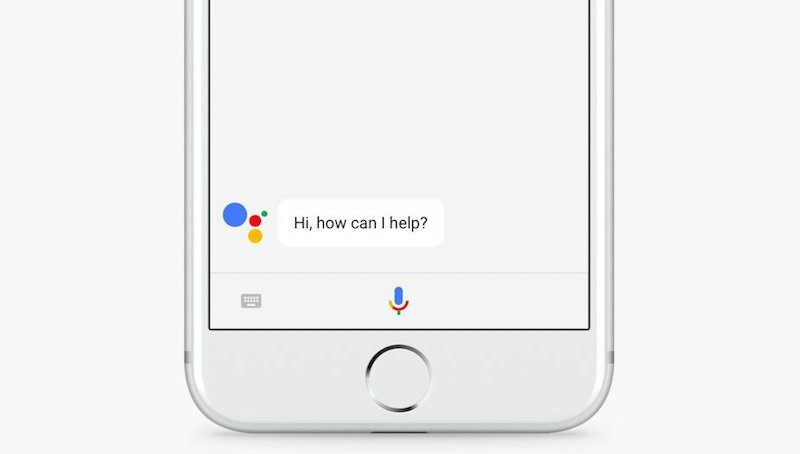 One of those rivals is Google Assistant, which as well as powering Google's Pixel smartphones is integrated into Google's iOS Search app. In general tests, Google Assistant consistently beats Siri in areas including language comprehension, responsiveness, and answer accuracy. But like Apple, Google's AI team is not resting on its laurels, and this week at Google Developer Days, the company demoed some of the new features it is working to bring to its flagship assistant in the near future. Like Siri, one of the major additions coming to Google Assistant is a new translator mode, which once activated by the user with the phrase "OK Google, be my [specify language] translator", repeats everything that is subsequently said in the requested language both vocally and visually. While standard translation as such isn't new to Google Assistant, the new way of interacting with it is designed to be more useful when users are traveling abroad. Another improvement coming to the virtual AI is better contextual understanding of questions. For example, in the GDD stage demonstration, Google Assistant is first asked to show pictures of Thomas, and the AI returns images of Thomas the Tank Engine. Next, responding to the phrase "Bayern Munich team roster", the Assistant returns details of the German soccer team. Then it is once more asked for "pictures of Thomas", but this time the Assistant pulls up pictures of Bayern soccer player Thomas Müller, putting the results correctly in context to the rolling set of queries. In a subsequent example, the audience is shown how Google Assistant can help them remember the name of a movie that's on the tip of their tongue. The stage demonstrator asks, "What is the name of the movie where Tom Cruise acts in it and he plays pool and while he plays pool he dances". With little hesitation, The Color of Money appears on the screen and the Assistant relates further details about the film. In addition to these new features, Google said its virtual assistant can now respond to questions faster and is able to understand a user's voice more accurately in noisy environments. It also claimed that the AI now has deeper integration with Google Search, which should enable it to provide more detailed answers to queries. It's unclear which of these enhancements will make it over to Google's iOS Search app, or whether the company makes some of the features exclusive to Android. Whatever its plans, the GDD demonstrations show just how much the virtual assistant wars are hotting up. And with Google Assistant now showing up in third-party smart speaker devices, there's every indication that Siri in iOS 11 – and in Apple's upcoming HomePod speaker – will have plenty of competition in the virtual assistant space. Siri hasn’t improved and constantly frustrates me to the point where I only use it to set reminders. Even then it gets some of the details wrong. I have no desire to ask Siri about anything complex if it can’t complete simple tasks accurately. It’s disappointing that Apple have failed to improve this technology and failed to announce any improvements to Siri when they revealed HomePod. Especially as HomePod will almost certainly rely solely on voice commands. I’m hoping they announce ‘Siri 2’ on Tuesday. Siri will still win out ultimately because of their integration with iOS. It’s going to be siri which schedules my calendar events and sets my alarms and reminders. watchOS 4 will even bring Siri to my Apple Watch screen front and centre. Google may have the better service, but you still can’t beat Apple in terms of ecosystem lock. So because iOS doesn't allow "default apps", Siri is more integrated with the OS. Surprise surprise. i gave Siri another chance with iOS11 yesterday. sadly it's still terrible. while she was very good at hearing what i was saying (everything i said was correctly written on the screen), she didn't understand anything i asked correctly. even asking her to play the newest album of artist XY is too much of a task for her... (well at least she started to play music from that artist randomly) and that was the only tasked she almost managed to do. Siri is no good if i have to learn which phrases she understands first. It's disappointing to see that Siri is still so far behind. Hopefully iOS 12 fixes that. Google is probably 2-3 years ahead of Apple. Sounds like Google Assistant will remain the best.....always actually improving as usual. I've used Siri, Alexa, and Cortana a fair bit; Google's assistant somewhat less. Frankly, I find them all rather frustrating and underwhelming. I'm sure it's my own expectations which are the issue... but I get really tired of having to conform my phrasing to match what they know how to interpret. Someday they'll all make that leap, I'm sure; and that day will be amazing. But none of them are there yet. I agree with you. My main complaint is I'm not sure what exactly Siri is for. It can't match all the functions of the built-in apps (or anywhere close), but it does things like show me sports scores - a feature not covered by any default app on the phone. So, I'm bound to be missing a load of Siri functionality because I don't know that Siri can do it (how am I supposed to know?!). Also, when I try something and it doesn't work, I feel a little foolish and think "well, I guess it's not built for that". I am sure Google has a serious advantage in this. To make a search engine you need linguists. To make a virtual assistant you need linguists. Google should have a lot of knowledge and experience from the search engine. Now, if Alexa is considerably better that would be harder to explain. Also, Google has direct access to the search results. Siri's "Here's what I found on the web" feels like Siri has failed, where as Google showing you results that link to web pages feels like it's part of the intended experience.